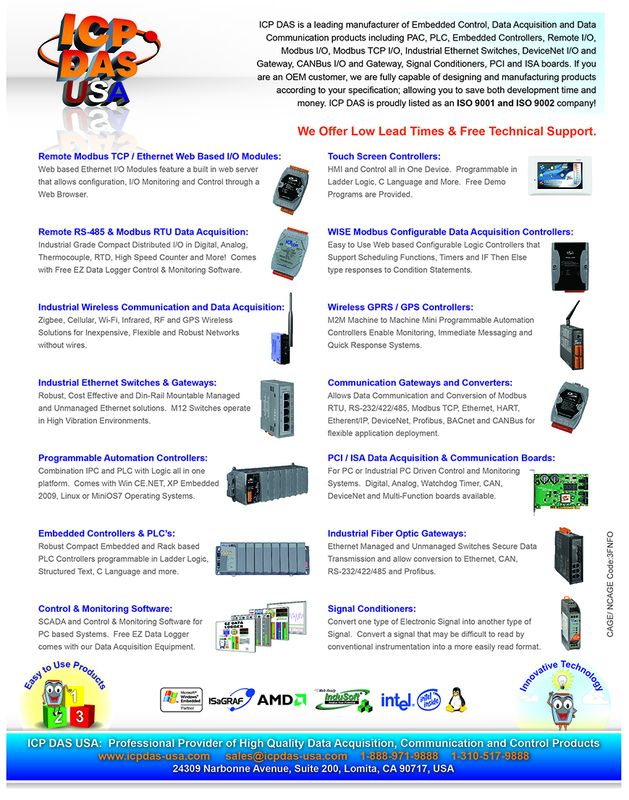 CAN (Controller Area Network) is a serial bus control protocol especially suited to constrnct intelligent industry devices networks and build smart automatic control systems. It is popularly applied in the industrial automation, building automation, vehicle, marine, and embedded control network. 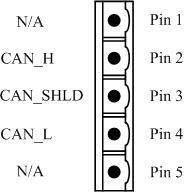 In order to expand the CAN functions of ICPDAS products, I-87120 module is developed for this purpose. It is a kind of module, and need to be plugged into a host unit, such as I-8000 series MCU (Main Control Unit), WinCon-8000 and LinCon-8000. I-87120 give a way to connect these ICPDAS host unit with CAN network. 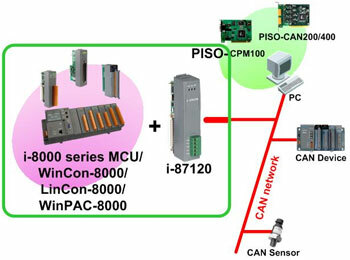 Owing to the features of I-8000 series MCU, WinCon-8000, WinPAC-8000 and LinCon-8000, these host units can be arranged to be a CAN converter, CAN slave device and CAN master device in a CAN network. The righr-hand-side figure shows the application architecture for I-87120 modules.